This is the home page for the Michigan Crossroads Council’s International Committee on Scouting. It is where members of that committee, the International Scouting Committees of the four Field Service Councils, and committees planning Michigan Crossroads Council international events and activities share information. The Michigan International Camporee (MIC), which the Michigan Crossroads Council inherited from the Chief Okemos legacy council, is the largest council-run multinational camp in North America. 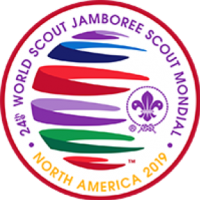 Once every four years, Scouts, leaders, and staff members from 20 or more countries come to Michigan for a miniature World Jamboree. 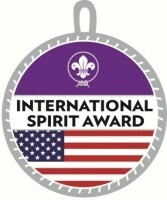 The next Michigan International Camporee will be held in 2022, at Rota-Kiwan Scout Reservation, 6278 Texas Drive, Kalamazoo, Michigan 49009.
International Department Boy Scouts of America has recently introduced the new BSA International Spirit Award. To see the requirements for Cub Scouts, Boy Scouts, Varsity Scouts, Venturers, and adults and how to order the patches, click here. Michigan Crossroads Council units have the opportunity to do International Scouting on a weekend trip, traveling to Canada and interacting with Canadian Scouts. There are a number of International Camporees in Canada that Michigan units can participate in as well as Scouts Canada camps where you are very likely to encounter Canadian Scouts. Michigan Crossroads Council packs, troops, and crews, have a unique opportunity to do Scouting in another country and meet another country’s Scouts by taking a day or weekend trip to Ontario. The information on this page will help you plan that trip. Before taking a trip to Canada, a Michigan Crossroads Council pack, troop, or crew must file a TOUR AND ACTIVITY PLAN and prepare for Border Crossing Procedures and the possible need to use Health Insurance in Canada. Your first step in planning a trip to Canada should be to read the Michigan Crossroads Council’s information on TAKING BSA PACKS, TROOPS, AND CREWS TO CANADA. 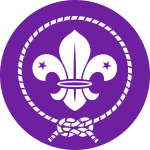 There are two Scout Associations in Canada that are members of WOSM (World Organization of the Scout Movement). The largest one and the one you will encounter in Ontario is Scouts Canada . The other WOSM member Scout Association in Canada is the French speaking Association Des Scouts du Canada with members mostly in Quebec. Our neighboring Scouts Canada Council across both Detroit-Windsor and Port Huron-Sarnia border crossings is the Tri-Shores Council . They welcome Michigan Crossroads Council units at their camps and activities. To learn more visit their web site ..
Can-Am Camporee – Held in early May at Camp Attawandaron near Grand Bend, Ontario. Loyalist Area World Brotherhood Camporee – Held every September, in even years, in the US at Wellesley Island State Park in the Thousand Islands across from Clayton, NY, and in odd years in Canada at Riverside Cedar Provincial Park near Morrisburg, ON. Scout Brigade of Fort George – The third weekend in September each year at Niagara-on-the Lake, Ontario, reenacting the War of 1812. To see a 2014 BOYS LIFE magazine video about this event, link here. There are many Scouts Canada camps in Southwestern Ontario that are ideal locations for weekend camps. For links to information about the different camps, click here. or the online booking system, click here. Camp Attawandaron is not far from the Port Huron-Sarnia bridge and very near Lake Huron. It borders Pinery Provincial Park on the western edge of the park. “Camp Attawandaron is located in the Carolinian Oak Savanna. It is one of the last true Oak Savannas in the world. The camp sits on a total of 77 hectares (190 acres). Our camp is bordered by highway 21, the Pinery, and both the Ausable River and the Ausable cut.” The camp has cabins and lodges as well as tent campsites. Possible program activities include hiking trails along the dunes, 16 canoes, a climbing wall, and snowshoes. If you link to the Pinery Provincial Park map you can see all the Lake Huron beaches which offer additional program opportunities.. Camp Attawandaron is the lighter green area just west of the park. Two Scouts Canada camps in Ontario are included in World Scouting’s list of “Scout Centres of Excellence for Nature and Environment (SCENES),” Blue Springs Scout Reserve and Mount Nemo Scout Camp. Many Michigan Scouts have used and recommend Camp Manitou near Campbellville, the Bruce Trail, and the Niagara Escarpment climbing areas, and Camp Wetaskiwin in St Catharines, not far from Niagara Falls. The Niagara Escarpment west of Toronto offers outstanding opportunities for climbing and rappeling. “Some of the best climbing cliffs in Ontario are located at Conservation Halton parks that are known in climbing circles for terrific views and a wide variety of climbing levels.” Click here for information on climbing opportunities in Conservation Halton parks. Scouts Canada’s Central Escarpment Council offers a program named “On Rappel” at one of those parks, Rattlesnake Point. For “On Rappel” information, click here. Haliburton Scout Reserve, the largest Scout camp in Canada, 5000 acres located 150 miles north of Toronto offers a unique opportunity for a different type of weeklong summer experience. Troops and crew traveling to Ontario might also be interested in Ontario Parks, an excellent source of information on Ontario Parks which includes VR tours of Bon Echo and Killarney Provincial Parks and a downloadable canoeing map of Algonquin Provincial Park. For general information on Scout camps all across Canada, click here. For the .pdf SCOUTS CANADA CAMPS AND OUTDOOR PROGRAMS DIRECTORY, click here. For a searachable database of Scouts Canada camps, click here. Every summer, countries around the world hold National Jamborees and there are International Jamborees in England and Scotland. They all welcome international participants, especially contingents from the USA. The cost of taking a contingent of Boy Scouts and/or Venturers to another country can be surprisingly low. For more information on how you can plan an international trip for your troop or crew, Click here. Correspond with a Scout Pen Pal in another country. Scouts Australia has an International Pen-Pal Program with information on how Scouts from other countries can make contact with Australian Scouts.